MOMSPatterns Vintage Sewing Patterns - McCall's 5697 Vintage 90's Sewing Pattern FESTIVE Quick Picks for Presents to Make, Star Pillows, Ties, Wreath, Baseball Caps, Chef Apron, Pot Holders, DOG BED & More! McCall's 5697 Vintage 90's Sewing Pattern FESTIVE Quick Picks for Presents to Make, Star Pillows, Ties, Wreath, Baseball Caps, Chef Apron, Pot Holders, DOG BED & More! 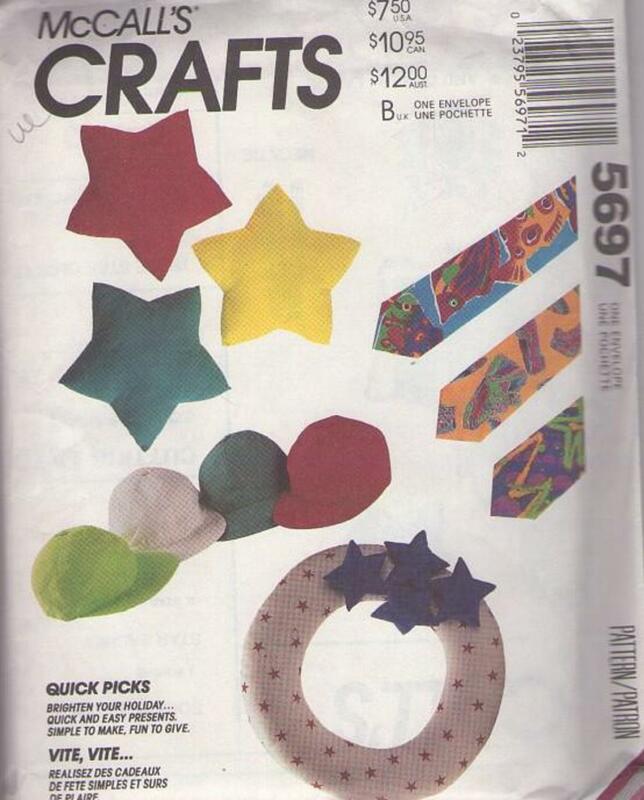 1991, 90s Crafts, Retro Pet & Children Home Decor Sewing Patterns - Make a cozy dog bed, log carrier bag, apron & pot holders, star shaped pillows or wall hanging, neck ties & caps! Quick Picks to brighten your holiday, quick & easy presents, siple to make, fun to give!